Therapy, supervision and coaching face to face and on line. 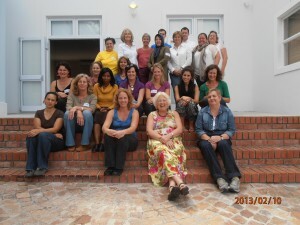 During January 2013, Joanna Beazly Richards TSTA visitied South Africa and I had the privlege of organising two trainings in Cape Town which she generously offered at low or no cost. The first was hosted by FAMSA and was a training in how Joanna combines TA, the latest brain research, the approaches of Babette Rothschild and others in her work with people who have been traumatised. This was primarily for social workers, psychologists and therapists and stressed the need to avoid re-traumatisation in working with people, as well as manging the effects of secondary trauma. The second was a basic introduction to trauma – what it is, its effects and how to recognise and manage it outside of a therapuetic setting. 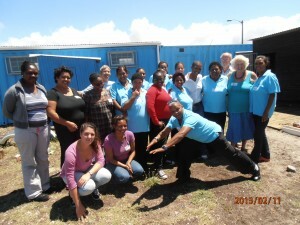 This was for community workers and was hosted by Mothers Unite, an NGO working in Seawinds. Both workshops were excellent and were very much appreciated by those who attended.